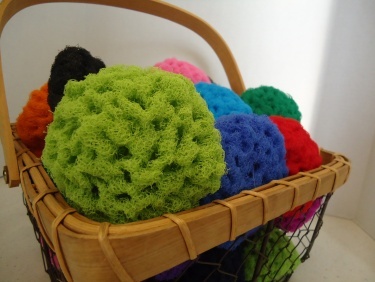 My mother always had a basket like this full of her crocheted scrubbies. Whenever anyone visited she would gladly tell them to pick out a few scrubbies. She would often take them with her to give to her doctors, many asked for another on the return visits. They are essential cleanup tools in the kitchen, but have been used on the grill, in the workroom, cleaning up bathrooms, and even getting bugs off of windshields (one of her doctors). Hers were so much better than the ones that we see at craft shows or the farmer’s market (I think that stuffing is a key), something that she loved to point out. She knew the pattern by heart and could make them quickly without much thought. It was what she loved to do while watching her favorite baseball team, the Detroit Tigers. My last Annetta scribes are unfortunately not looking so great. My sister Diane was making them at the lake this weekend and graciously made one for each of us. She tried following Mom’s pattern, but missed something. I think that these are ingenious, they sit in the palm of your hand and get into corners well. Now, can she replicate this??!! In memory of Annetta, her scrubby pattern for all of you. 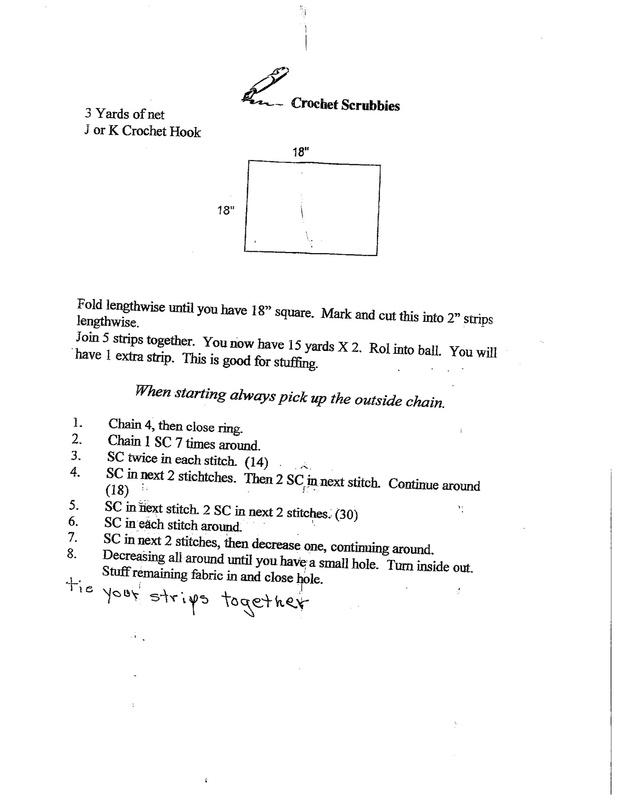 I’m sorry if this is obvious and I’m not getting it, but what kind of net do you use? Where do you get it? It doesn’t look like anything familiar to me. Thanks!! Frances, glad you like your new version of Mom’s scrubbies. I ran out of netting in MI so I will try to replicate when we get back to CO.
Can this pattern be “translated” to knitting? I have actually never made these, it is on my list now that my mother is not around. 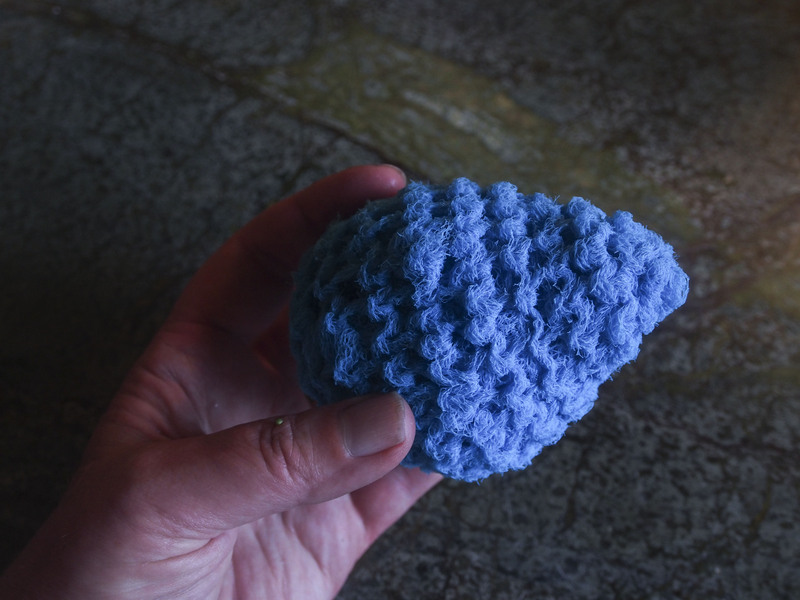 I would think that crocheting works better as it eats up more fabric. 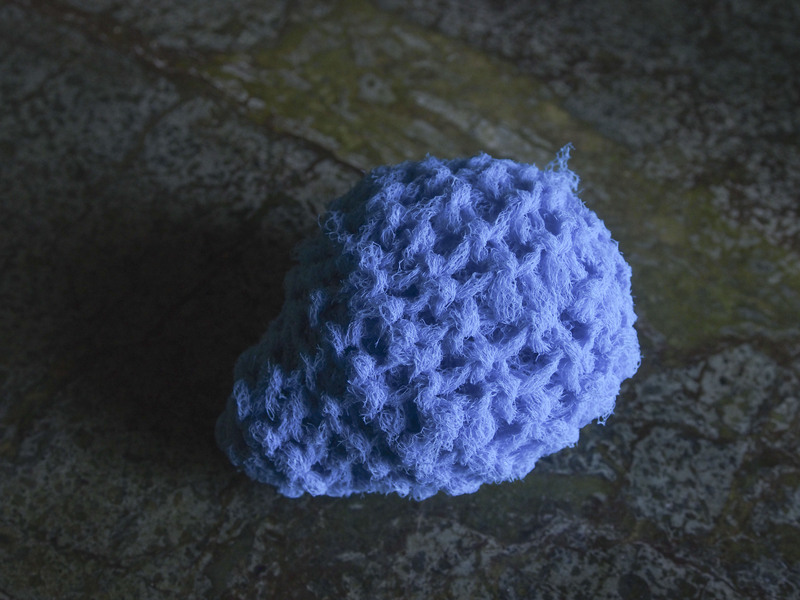 I could be wrong, a google search shows knitted scrubbies, but they are flat like a washcloth.